Nahla H. Hassaneen, Shabaan A. Hemeda, Abeer F. El-Nahas and Walaa S.H. Abd El Naby. 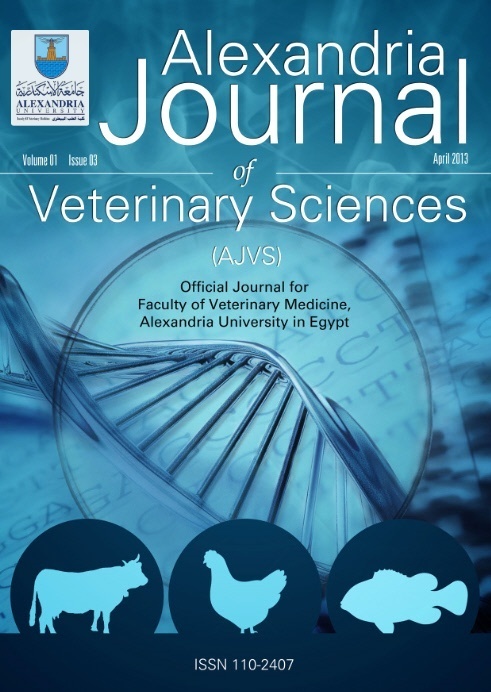 This study was conducted to evaluate the genotoxic effects of iron sulfate on mice through the assessment of chromosomal aberration, mitotic activity and DNA fragmentation by RAPD-PCR, as well as screening for the possible ameliorating effect of extra-virgin olive oil (EVOO) against iron sulfate genotoxicity. Sixty-four swiss albino male mice (Mus musculus), weighing from 25 to 35 gm were used in the study. Forty mice were used in the acute study for 24 and 48 hrs and twenty-four were used for chronic treatment (six weeks). In both acute studies, the mice were divided into five groups, the first group acts as a control without any treatment. The second group received 75 µl EVOO on a diet for one day before samples collection. The third group received 61.2 mg/kg b.wt iron in a diet which represents 1/5 of its oral LD50, the fourth group received the same previous doses of EVOO and iron sulfate at the same time. The fifth group received EVOO as a pre-treatment for one week then received iron sulfate with the previous dose for 24 hrs. Four similar experimental groups were also used for chronic study with 15.3 mg/kg b.wt iron sulfate in the diet which represents 1/20 of its oral LD50 and the same dose of EVOO as a co-treatment. Iron sulfate in mice ration was able to produce structural chromosomal aberration in acute treatment and structural and numerical in chronic treatment, lowering mitotic activity and induced DNA fragmentation (RAPD fragments) at both treatments. EVOO as a co-treatment or pre-treatment leads to decrease in chromosomal aberration especially chromatid breaks, chromatid deletion and fragments in acute treatment. In general, EVOO as a co-treatment showed a significant role in lowering Iron sulfate genotoxicity in acute treatments.